Zazzle just implemented some huge changes to their platform. With a lower volume bonus pay-out, many shopkeepers are feeling the sting. On the brighter side, product images are larger and more appealing and with standardized store fronts, customers will find the experience less complicated than before. The standardization took from us the creative control we, as shopkeepers, had enjoyed for many years, but I do believe the shopper will benefit. Options for creativity still exist. The new and larger header (2360×400 pixels at 300dpi) is beautiful and we are able to use artwork for our category boxes. For me, the most important feature not to change is the 15% referral we earn when we promote our own product or another Zazzler’s product on our own blogs and websites and with our favorite social media. I believe intensifying referral efforts could easily take the place of the volume bonus reduction. Also, we are still able to set our own royalty, keeping in mind Zazzle rarely promotes a product with a royalty set above 15%. I recommend setting your store royalty default to 14.9%. You will now be included in sales and other Zazzle promotional campaigns. As with all change, it will take time to explore all aspects of the big changes going into effect July 01, 2013. I still believe Zazzle to be the best platform out there and I have no intention of going elsewhere. I will be keeping you updated as we go along and will share anything useful or interesting I find over the next weeks. Keep positive and make the changes work for you! This video below was posted in the Zazzle forum today and so perfectly describes the Zazzle experience and sums up what Zazzle is all about. One is able to make a one-of-a-kind card or gift without the frustration found on other print-on-demand sites. This young lady tried to upload pictures/artwork on several sites in order to create a personal and uniques Mother’s Day card before finding the Zazzle site. Zazzle delivered once again! Check it out…and remember, there are many artists sho offer unique, ready-made items for sale, many of which can be altered and personalized to suit your specific purpose. Exciting news for Zazzle Associates! 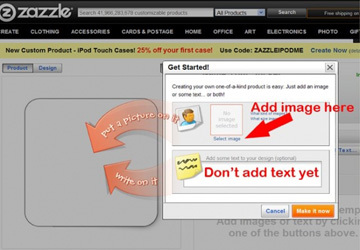 Zazzle has added a new feature that allows you to receive an email when you make a successful Associate referral! You can select between receiving the emails immediately upon the referral, daily, weekly, or monthly. This will help you see where and how your marketing efforts are paying off. Now get out there and start referring! If you are not currently participating in the Zazzle Associates Program, or don’t know what the Associates Program is, here is a summary. Zazzle will pay you a base rate of 15% of the sale price for any order that you refer to Zazzle with the opportunity to increase that rate with Volume Bonuses. You can refer your own products, branded products, products that you like, or even link to ANY page on Zazzle! To allow Zazzle to track this, each person upon signing up for a Zazzle Account is given a unique referral ID that is a 12 digit number and can be found at www.zazzle.com/my/associate/associate. To use your referral ID, simply add ?rf=111111111111 (replacing the ones with your unique ID) to the end of any link. You can also use our various referral link generating tools which can also be found on the Associates Tab of your account. For more information on the Zazzle Associates Program, check out the guides here! I have been partnered with Zazzle since 2009 and I continue to be impressed with the integrity exhibited by the company in its policies and with the performance displayed by Zazzle personnel. 2011 has been a wild ride with a major platform upgrade and many other improvements. The road was rocky at times, but the Zazzle teams had it together and were able to navigate the new territory very well. The most amazing thing about what Zazzle offers to artists, photographers and designers is, and always will be, a totally free and fully customizable platform from which to launch their amazing creations into the world at large. Thank you Zazzle! For those of you unfamiliar with Zazzle and its philosophy, I recommend taking the tour! For your creative outlet, I highly recommend Zazzle as a place where, with effort and imagination, you can find a place in the print-on-demand marketplace. High quality products, sincere customer service, and the Zazzle guarantee will be there to give your shop professional expertise and support. And it’s free so start creating! Zazzle Forum (everything you need to know to get started! Zazzle ProSellers are the most successful Sellers on Zazzle. We are very proud to recognize your accomplishments within the Zazzle Community and we look forward to supporting and accelerating your continued growth and success! The 2011 ProSellers program is a FREE, invitation-only Seller benefits program. As a part of the program, members will enjoy exclusive benefits aimed at accelerating the growth and success of their business on Zazzle. Qualifying is easy and based on lifetime earnings – Basic ProSellers only need to earn $100 to participate! ProSellers are categorized into six levels based on their total lifetime earnings from Zazzle’s U.S. domain (Zazzle.com). Benefits vary for each level. Zazzle calculates eligibility for all levels on a monthly basis. Qualifying members will be notified via email. All ProSeller memberships are subject to cancellation if members do not comply with all Zazzle marketplace policies. Silver ProSellers and above must earn at least $100 from Zazzle.com within each calendar year to maintain their ProSeller status. Instances of Sellers no longer qualifying for their current levels will be reviewed on a case by case basis. Any ProSeller whose status changes will be notified accordingly. Does it cost anything to join Zazzle’s ProSeller Program? Does it cost anything to join Zazzle’s ProSeller Program?The program is a FREE invitation-only program. How are lifetime earnings calculated? How are lifetime earnings calculated?It’s simple and straight-forward. Lifetime earnings are based on the total royalties, referrals, and volume bonuses that you’ve earned since your first sale on Zazzle.com. We invite new Basic Level ProSellers and graduate qualifying ProSellers on a monthly basis. Can I combine my earnings from multiple stores? Can I combine my earnings from multiple stores?Absolutely. Earnings from multiple stores are captured through your presiding Member Profile. It’s just that easy! Learn more about Member Profiles. How will I be notified?Sellers who qualify will be notified via email. How long can I be a member?Membership for the program is 1 year. Beyond this, you can be a member as long as you meet the program requirements above. What happens if I’m a current ProSeller and I do not qualify for my current level under the new program? 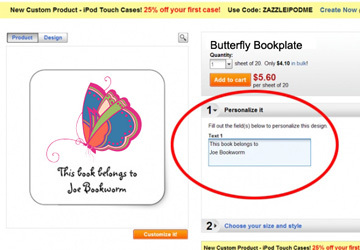 Zazzle products available with personalization or customization templates sell better overall than other products. Adding a ‘personalize it’ field is a simple way to involve your customers in the designing process. Here is a walk through for adding a text template to a sticker. The same steps apply to any product you wish to make available to purchasers for personalization. At the top of your Zazzle page, you see a bar across the page. 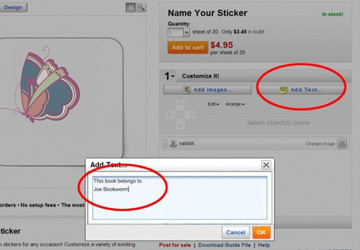 Click ‘CREATE’ and choose the product you wish to create, a sticker in this case. Click on it. Do not add ‘TEXT’ at this time. Upload your image and click the ‘MAKE IT NOW’ button. (You also have the option of clicking cancel at the bottom of this box and using the ‘ADD IMAGE’ button instead. This is useful if you have already uploaded your image to your own Zazzle image gallery). Next, make sure that your image row is selected and position your image using the left, right, up, and down arrows. To resize (smaller or larger) your image, click the magnifying glass plus and subtract symbols. We will be adding the text “This book belongs to Joe Bookworm”. Select the ‘ADD TEXT’ button and type your words in the box that appears and click ‘OK’. Make sure the text row is selected and use the ‘f” to select a different font, use the plus and minus arrows to change the size, and click on the color square to choose the color of your text. 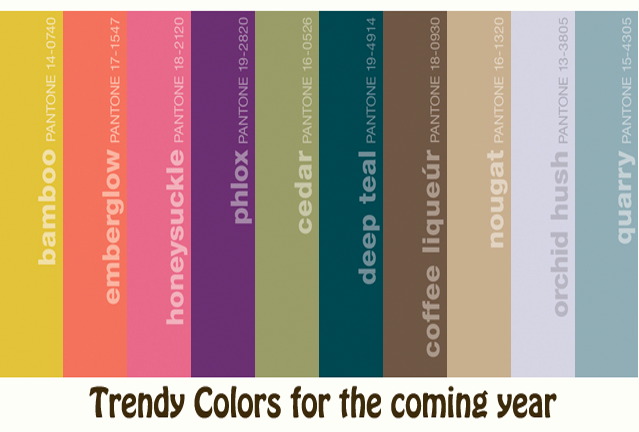 See my tutorial for how to use colors not available from the Zazzle choices shown. Create the ‘Personalize It’ template field by clicking the two overlapping gears (see illustration below), click ‘Make this a Template Object’ and type instructions such as ‘Your name here’ in the top Text Box and click on any blank area on the page to close the box. Now it will be easy and simple for your customers to add their own name or text to your final product. The procedure can be repeated if you wish to add more text, or if you wish to add text that is not available for customization and that is meant to remain on the product, simply do not use the step involving the gears. Below is how your product will appear in the marketplace, ready for a customer to fill in the template field and click ‘BUY’. Now one last step. To finish your product, click the “POST FOR SALE’ button just under the boxes in which we have been working, and you are done! 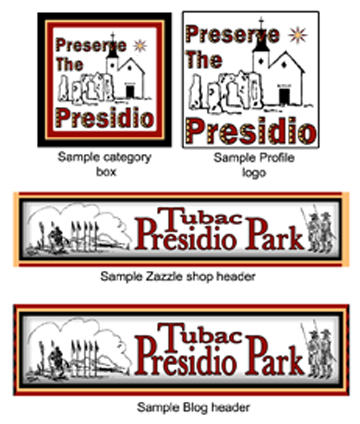 After only six months, The Tubac Presidio Park Shop has been awarded Pro Seller status and all of us participating in this non-profit Zazzle online gift shop are thrilled! Best of all it cost no money and required a minimum of advanced computer skills. We used simple HTML only and an investment of zero dollars. If you have time and dedication you can do it, too. 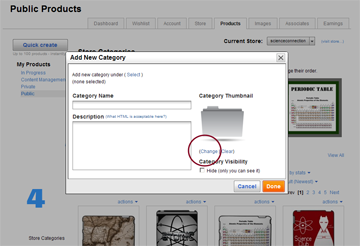 Descriptions and tags are best described as a way to paint your product with words. Search engines cannot see images, so think of them as a friend on the other end of a phone conversation to whom you must convey the shape, color, beauty and individuality of your creation as precisely as possible. Below is a simplified illustration of the “Post Product for Sale” page, which is where you find yourself after placing text, photos, or artwork on a product and clicking ‘Post for Sale’. New Zazzlers often underestimate the importance of this page and fail to take advantage of its full potential for boosting the visibility of their new product. Eagerness to see their new product in the marketplace as well as assuming a simple title and quick description will be sufficient often leads to few, if any, sales. The first step is to give your product an effective title. For this tote bag, ‘Environmentally Friendly Pelican Organic Tote Bag’ would be a better title than ‘Pelican Tote Bag’. The subtitle can be used to emphasize the artist, the style, or medium in which the original was created, or to call attention to why the work was created. ‘Preserve our environment’, ‘Original graphic design by Joe Doe’, or ‘Save our Pelicans’ would be appropriate. Environmentally Friendly Pelican in green tones is my original graphic design and was inspired by the oil spill in the Gulf. Under a deep, green canopy of stars, a Pelican, contrasted by a setting sun in a light, muted green, looks out upon the sea, symbolized by undulating lines. The words ‘Earth, Sea and Sky’ above ‘Environmentally Friendly’ text serves to remind us about what our priorities must be in order to ensure the future of our lovely planet. My design is placed on an organic grocery tote in a natural color. 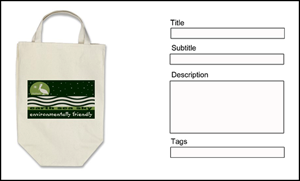 The green tones alternates between a light foliage green to a deep, woodsy green contrasted by the natural, off white color of the tote bag which serves as the background. This product really does enable you to ‘Go Green” and is ideal for the environmentally conscious recipient on your gift list! Beginners at Zazzle often use a description similar to ‘This is a pelican on the ocean in green and is environmentally friendly’. Take the time to compose a sincere and accurate description, grammatically correct and free of typos. It will pay off in the future. I began with nouns and adjectives describing the elements of the design, then phrases aimed at the type of consumer that might like this design, then the issues or current topics related to my design, then the type of design (graphic design, watercolor, oil painting, etc…) then my name, and finally the name of my store. Adding your name and the name of your store is rarely done on Zazzle, but it is important to include if you wish to be found by fans and relatives who may not know the either your store name or your name, and it helps to ‘brand’ your products on the internet as well as at Zazzle. You will notice I do not use words describing the actual article itself like ‘tote’ or tote bag’. Zazzle automatically adds these words and for me to do so would be unnecessarily repetitive. One final and important note: Do not tag spam! Using inaccurate tags or ‘popular’ tags just to get views will NOT lead to sales and will irritate your fellow shopkeepers. Your credibility will be severly undermined. An example of tag spam would be using words like ‘retro’, ‘vintage’, ‘justin bieber’, or other trendy words that have no relevance to your design. Also avoid tags that could get your design ‘pulled’ from the marketplace for copyright infringement by Zazzle. These would include using a famous brand name or popular phrases from movies, pop songs, or advertisements in your tags. Everything you post on Zazzle must be your original design OR another’s artwork for which you have paid for the right to earn royalties when publishing it on Zazzle or other print-on-demand platform. The same goes for clip art-check the fine print when you download. And never copy another zazzler’s work. Accidents happen, but your store could be completely shut down if you infringe on another artists rights. When visiting my Stuccoloco shop on Zazzle, you will note that I have failed to follow this advice on many of my earlier products and I have a lot of revising to do. I hope this tutorial will save you from this task and enable you to use the time more effectively. I have enjoyed success on items using this method and I trust you will find this to be true for your products as well. Thank you for visiting and happy Zazzling! For those of you not using a program to create images or are using photo editing software that does not include a color picker tool. When creating products on Zazzle, you may find it necessary or desirable to add a matching background color, frame or color text to your design. If so, you will have also noticed that Zazzle provides a color chart box with a limited choice of colors. This tutorial will show you how simple it is to customize your color choices. 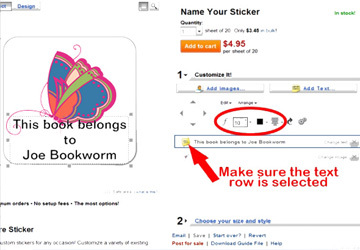 Many Zazzle products allow you to add/change the background color of the product (your uploaded image will be ‘on top of’ this background color) you are designing. 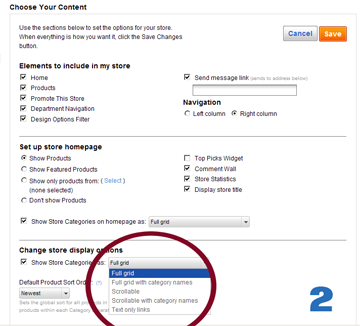 Click the ‘Edit’ button just below the ‘Add Images’ button to see what you can change or add to a particular product. In this case, click the ‘Edit’ button and you will see ‘Background’ which you click to see the color chart and all the colors Zazzle has made available for your use. Notice the area I have circled and pointed to in the lower right of my example. This is where you may enter a hex code (which identifies what color you wish to use) for any color you wish to use for the background. This process allows you to change the background to match or coordinate with your design or photo. (This works as a background for text without a design as well). Where do I find the hex code? 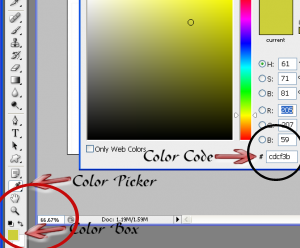 If you are using photoshop or other program on your computer to create designs or to store your photos, merely open the file (design or photo) from which you wish to select a color (do this in a new window) and then click on the color box(circled in red in next example picture) to open the color picker box. Click on the color in you photo or design you wish to match and you will see the Hex Code (circled in black), which is the number (or numbers and letters) identifying the color you have selected appear in the color picker box at lower right (circled in black). 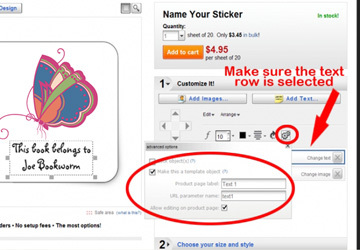 Copy this code and paste it into the Zazzle box (after deleting/erasing existing code) from the first example picture (also circled in black) on your product design page. Now click any blank area to force the change to occur. This is done in the same way but in a different area. Click the ‘Add Text’ box and type in your greeting, slogan, messages etc… and click OK. You will see a square showing the current color of the text to the immediate right of an f, (which is what you click to change the font) and a number showing the current size of the text (which is what you click to change the font style). 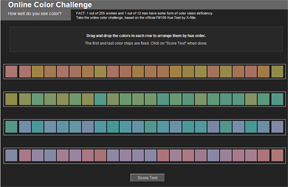 Click the square to see color choices. Now follow the same instructions from above to change the text color to the one you wish to use instead. How do I customize the colors on my storefront? This is done the same way. click ‘Store’ in your ‘My account’ section. You will be taken to the ‘Manage’ section. (With multiple stores, you will need to choose which store you would like to make changes to. 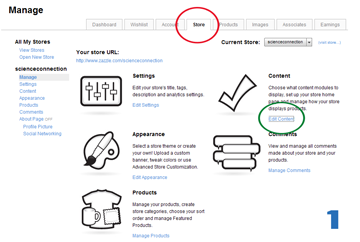 Click ‘manage’ to the right of the store name). Click ‘Edit Appearance’ and you will see boxes next to the various sections and texts currently appearing on your store front. Click a box to see your color choices and proceed in the same manner discussed above. What if I do not have access to a color picker tool? No problem! 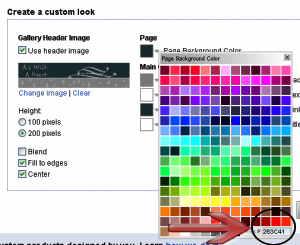 use the on-line color picker HERE. 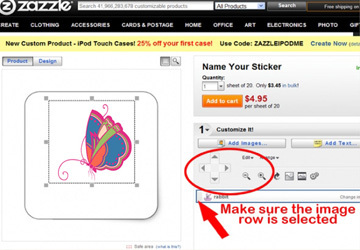 Knowing this little Zazzle tip will save you time when designing products on Zazzle, and can greatly enhance the appearance of your design. See examples below. My Virgin of Guadalupe “I Love You” card at left has no back ground color added. I added the text in a coordinating color. The background defaults to white in this case. The same image, which I had created with a white background, is seen below with a matching red background and a coordinating text color. The original image sits on top of the background color. As an amateur artist in 1999, I began selling art trading cards on ebay, and eventually acrylic paintings. I developed a following (both locally and online) and always on the look out for other art venues, I stumbled upon Zazzle in early 2009. It is free to open a shop (nothing I reccommend in my articles requires money or advanced computer skills) so the price was right and they let you design your own storefront. But I had no idea what Zazzle was all about. I began by uploading scans of my doodles, drawings and paintings and proceeded to put them on greeting cards, mugs and t-shirts. I did this randomly with no particular plan in mind and promptly forgot about them. A few months later I recieved an email from Zazzle saying Sold! I had sold 100 copies of one of my greeting cards. That was all the encouragement I needed and I have never looked back. Our household now has a second income and I have something satisfying and expressive to work on every day. I have encouraged many others to open shops at Zazzle, and am a true fan of this excellent platform. The quality of production, customer service, and availability of resources has never let me down. I am proud to be associated with Zazzle, but I wish I had known how to go about things when I was starting out. My Stuccoloco shop is successful but messy. I had no idea how to network and I had few true computer skills. My learning curve was steep, however, and I have learned so much over the past two years. I, as a volunteer, have opened a shop, Tubac Presidio Park, to raise funds for the preservation of the park using the information that I pass along today, and you can click the links just below this paragraph relating to various tips so you can see what I am talking about and how they can be applied effectively. I use my Stuccoloco Twitter account to twitterfeed all my shops, pages and blogs. The name Stuccoloco has proven to be a bit of a stumbling block (it is a joke based on the fact that I like to plaster random objects and carve and paint them-stucco plus loco or crazy) because no one knows how to pronounce it (stuck-oh-loh-coh), how to spell it or what it means and I wish I had known what to consider before naming my shop. 1. What will I sell? If you are setting up shop on Zazzle, you are probably an artist, photographer, or graphic designer with images you wish to share with others. Consider your point of view and choose those images that best express who you are, and design products that best showcase your aesthetic sense. This is important because your first 100 products will represent you in the marketplace for the next year or so. After sales kick in, you will be represented by whichever products are most popular. This is determined by sales, views and star ratings. 2. Who will my customers be? You probably have an idea about who will want to purchase your products. Focus on age group, male/female, hip/mainstream, mass appeal or niche, political viewpoint, religion, humor, occupations, and any thing that relates to your subject matter. This is important because it will help determine the design/colors/feel of your shop. Pastels, flowers and a fun flirty opening paragraph will appeal to a younger female customer base, while a bold design in dark colors will appeal more to males. 3. Do I want to specialize? Look at some of the shops currently on Zazzle. Some sell only wedding invitations and related products. Some are a random mix. Some shops are mega-stores selling everything under the sun. Some sell only t-shirts or business cards. This is important because you want your designs to be showcased in a way that makes them most appealing rather than have them competing against each other for a customer’s attention. 4. How should I organize my shop? 5. What will I call my shop? This is very important so select a name you are willing to live with for years to come. Networking, links, search rankings and any other promotion you do will be compromised if you switch later. Pick a name that will stand on its own and that is in keeping with what you are selling and to whom you are selling. 6. Do I need a logo? Yes. Designing a logo will help you decide on the header design for your shop and will help set the tone for your shop. Design it to fit inside a square, which is the shape of the space allowed for this when uploaded. I would also recommend using this as your profile picture on Zazzle, unless you have a photo of yourself you wish to use. Incorporating the two, if possible, is ideal. Incorporate your logo into a custom header for your shop as well. 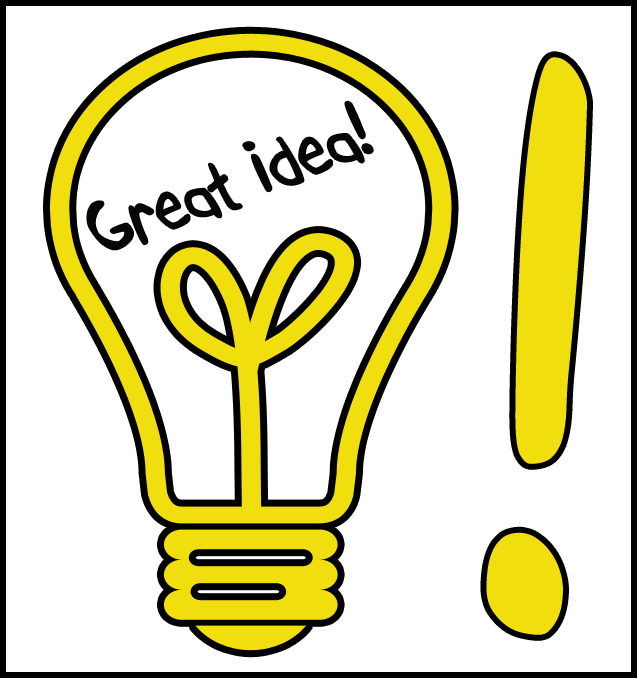 The size of a custom header for Zazzle is 2360×400 pixels and you can include samples of your work or a catchy phrase when designing it. 7. How will my shop be found? 8. How much time will I have to invest? This, of course, is up to you and will be determined by your ambition, by the free time at your disposal (work and family demands), and by whether or not you enjoy the process. Any successful Zazzler will tell you that creating products and marketing them to the public developed into an obsession soon after their first sale. I spend well over 40 hours a week on Zazzle or performing Zazzle related tasks (I am retired from the restaurant business). Eventually, the money you make will reflect the time you put in. It takes from one to three years to develop a following. Many artists and designers have a following already and this speeds up the whole process since they can now be referred to Zazzle. A large network of loyal friends and family also helps when starting out! This is a difficult question to answer because so many factors must be considered. If you are already an established artist, photographer or graphic designer the sky’s the limit and you will be rewarded according to the time you spend on product design and networking fairly quickly. If, like me, you pursued art or photography as a hobby, it will be less rewarding and perhaps discouraging at first. With persistence, you could make at least $1000 your first year, building up to a second income by year three. The speed at which you increase sales will be determined by the time invested, the quality of your designs, the networking you do, and how successfully you have gauged your audience. At the end of each Christmas season, take stock of your accomplishments and adjust your Zazzle related tasks accordingly (you may need more products, you may need to blog and network more often, you may need to specialize or expand you product line). 10. How many products do I need to offer on Zazzle to be successful? 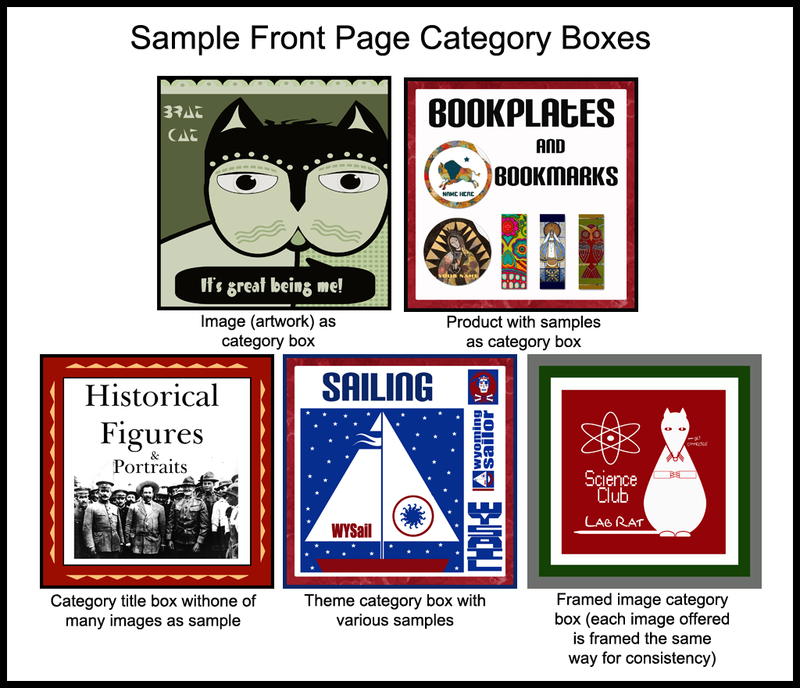 Your first goal is to have 100 varied products with strong designs or artwork featured on them. If you offer 100 mugs with ‘Happy Birthday’ in a different color on each you will not be off to a good start. Design a variety of products using at least 10 of your best designs, photos, and artwork to begin with. Make sure a potential customer is not bored by what they see when visiting your shop for the first time, and since many of your products will be viewed in the marketplace, outside of the context of your shop, make sure each design is interesting enough for them to follow the store link provided by Zazzle and take the time to visit your actual shop. Try to have 1500 products for sale by the end of year one. You will be fairly well established at that point, with a good foundation upon which to build. Keep your shop active by adding products whenever you have time and, of course, keep promoting! Coordinating Headers, Logo, and Category Box A consistent design helps visitors readily identify you and helps establish your ‘brand’. I will be expanding on the general information provided here in future posts so I invite you to subscribe. I will also be sharing tips from other Zazzlers, wesites and the Zazzle proseller forum to which the new Zazzle shopkeeper does not have access. Thank you for visiting. I hope you have found this information helpful. My best wishes for your future success! Never before have consumers been able to design and customize their own brand name products and order online. Zazzle now makes this possible by hosting your favorite world famous brands on their site which is equipped with easy to use customization tools. Follow the simple steps below. 1. Start at Zazzle.com, which has a dedicated section with characters and logos from your favorite Movies, Cartoons, and TV shows. 2. Select your favorite character, movie or show or view the featured artwork. Each selection will open a gallery of different designs to choose from. 3. Choose the design you like most. You can enlarge the selections for a closer look, add them to your favorites or email them to a friend. When you find the design you want, click on it. You can also click on the Mickey Mouse head icon labeled “Make It,” which appears below your chosen design. 5. Pick a shirt color to match your design, a shirt style and a shirt size. 6. Customize the shirt any way you want by clicking the orange “Customize It” button on the bottom right-hand side of the design window. You can move, resize, fit, rotate or center the design. You can also add your own images or text. 7. Check your design and then add it to your cart or save your design. Products are generally printed within 24 hours and on their way to you. Give as a unique, customized gift or enjoy your one-of-a-kind creation yourself. You are delighted or send it back! Who and what is Zazzle? 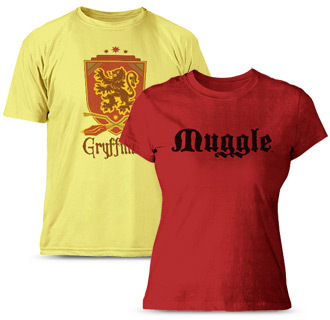 Zazzle is the world’s leading platform for quality custom products. Zazzle’s proprietary technology enables individuals, professional artists, and major brands, including Disney and Hallmark, to create and offer billions of unique products for customers worldwide. 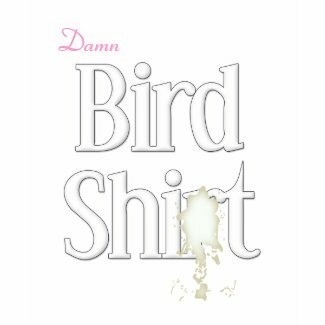 Zazzle’s rapidly expanding product base covers every topic imaginable and includes t-shirts, business cards, invitations, in addition to a variety of custom gifts. Upon creation, products are instantly and accurately visualized on the site and offered in the Zazzle marketplace. When ordered, each product is made on-demand, typically within 24 hours. Launched in 2005 and based in Redwood City, California, Zazzle’s vision is to redefine commerce, powered by the world’s imagination. 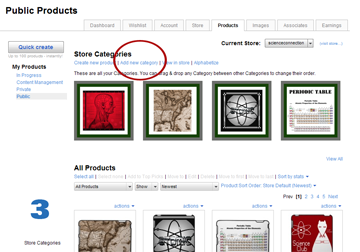 Visit the Zazzle marketplace home page. At Zazzle, our #1 priority is to make sure you have a secure, safe and satisfying experience. The Zazzle Secure Shopping Guarantee: Your credit card transactions with us are 100% safe. Period. Our secure server software (SSL) is the e-commerce industry standard and encrypts all payment information when you make a purchase. This means no one will ever gain access to your private information. The Zazzle Promise: If you don’t love it, we’ll take it back. If you are not 100% satisfied, you can return it for a replacement or refund within 30 days of receipt.